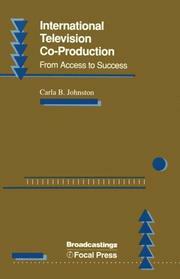 8 works Search for books with subject coproduction (motion pictures, television, etc.). Are you sure you want to remove coproduction (motion pictures, television, etc.) from your list?